When I saw the article, “4 tips for throwing a successful funeral” it caused me to do a double-take. Perhaps it was the use of the word throwing as opposed to say, planning, that made it sound a little … um, inappropriate. Two years ago this week, the most overwhelming aspect of my newly-widowed life was the thought of planning a service. But after all was said and done, the Celebration of Life service we threw for Hubby was just that. A celebration. And why not? There were some tears, of course, but mostly it was a joyous occasion of family and friends gathered around some great story-telling and fabulous memories. 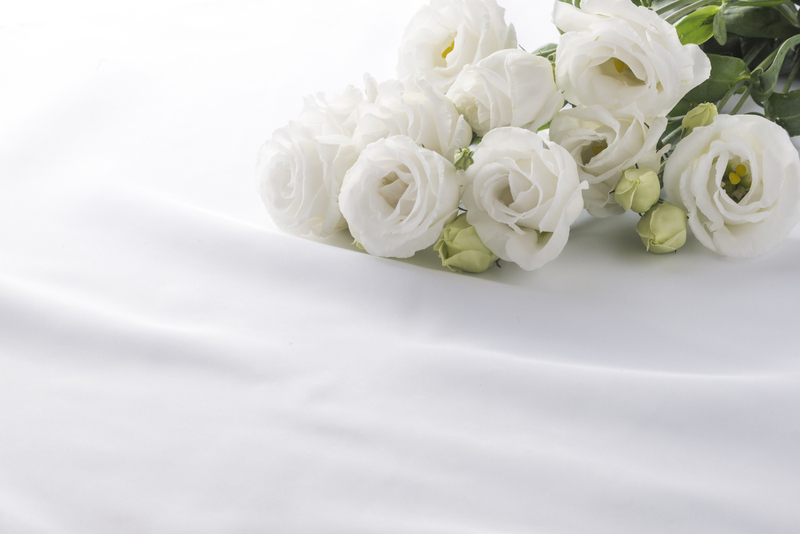 If these 16 tips can help ease the stress of even one funeral-planner, then my mission is accomplished. Let people help and ask people to help. Summer lectured, often, about how I wasn’t good at accepting gifts. Or accepting help. In order to prove her wrong, I not only learned to say, “Yes, thank you,” but I also learned to ask for help. Try it. It’s really quite painless. Daughter-in-law Denise put an e-vite out on Facebook with the date, time and location. It helped to get a general idea of how many people to expect. I wasn’t sure if this was appropriate, but I asked a friend if he’d take a few pictures before, after and during the ceremony. And I was grateful to have those photos. We designed a simple program as a fat bookmark with a color photo at the top. A friend touched up the design and printed them on card stock, and I loved how they turned out. We were in the winter holiday season when Hubby died. Every year on the Friday after Thanksgiving, a crew decorates our church auditorium for Christmas. Which means, on the day of Gary’s celebration, trees and greenery in our church were entwined with hundreds of tiny white lights. It was almost enchanting in its simple beauty. Unexpected gift. Flowers were spread out in blue Mason and clear glass jars across tables in the foyer of our church. Our grandkids had written letters to their grandpa before he died and these were framed and set out on the table. We clothes-pinned photos onto twine attached to retro luggage, and set out items that represented Hubby’s interests: backpacks, trekking poles, show-shoes, and a camera. Family members brought some of their favorite photos of Gary, which were also scattered across the table. No one said I should do this, but I stood at the church doors greeting guests before it was time to be seated. And even though I didn’t get to everyone, I’m glad I took the time to smile, hug and reassure these friends and family. I drafted the highlights of Hubby’s life, and then Jeremy added his own humor and memories. It blessed my heart to hear my son talk about his father. I asked people from different areas of Hubby’s life—his siblings, a cousin, our hike leader, the director of the men’s rescue mission where he volunteered—to share a story or remembrance. Interestingly, all the stories connected, as if the story tellers had practiced together. A few tears, and much laughter. And laughter is good medicine for the grieving. Josh created a slideshow video, beginning with baby photos of Gary, as a young man with his ’66 GTO, sporting a mutton chop sideburns holding our own babies; years later trimmed up and walking our daughter down the aisle toward her groom, and Hubby and me hiking the Cascades, Tetons, Rockies. It was a priceless gift. We intentionally kept the music simple because we didn’t want the service to extend too long. Gary had a favorite song by the group, Selah: “You Raise Me Up So I Can Stand on Mountains,” which was the perfect backdrop for the slideshow of his life. With friends leaving town the week of Thanksgiving, we located three large homes for overnight lodging for our out-of-town family members. In one of the homes, Daughter Summer and I hosted a dinner on Friday night after Thanksgiving — roasted chicken, multiple salads, pretzel rolls, coffee and cookies — the perfect meal as family members arrived at various times throughout the evening. On Saturday after the service, the women from our church served a lovely sit-down meal for family and a few close friends who had traveled some distance. People were lingering and catching up over good food. Later that evening, we brought take-n-bake pizzas to a friend’s house as family, once again, congregated together, sharing stories around the large kitchen island with a college game playing out on the big screen in the living room. These meals and gathering places became over-the-top thoughtful gifts. After all was said and done, there were dozens – dozens – of thank you notes to write: The ministers, the crew that prepared lunch, the people who let us storm their houses, the gifts and meals delivered to our home, the flowers, and to so many who sent checks that defrayed the cost of funeral home expenses. Should you try to thank everyone? Yes. Most definitely yes. Which may seem overwhelming to the newly-widowed—it was—but I drafted a list, and plugged away at it bit-by-bit. And eventually it got done. People don’t mind if a thank you note arrives a couple weeks after the fact – they simply love hearing from you, and hearing what their part meant to you. Go ahead and throw a celebration in memory of that most beloved person. And don’t fret if there is laughter and joy. Because hopefully, many of your memories are laughter-making and joy-filling. Oh, and the video Josh produced? After Gary died, Josh and Summer adopted three young brothers from Uganda. Every time I visit, every time I visit, they ask if they can watch their grandpa’s video, even though they’ve never met their grandpa. It goes without saying that I love LOVE watching this video with them, again and again.